Facebook has become the bane of my existence. Outside of the extremely useful tool of keeping in touch with friends regardless of distance, I am being inundated with useless just that is nothing more than a gigantic advertisement. But my biggest fault with Facebook comes with the users themselves and their complete disregard towards what is being put onto their feed. No matter if it's something appropriate or not, they must get that stream of consciousness out into their status or else the whole world may implode around them. Because I just couldn't go on living if I couldn't discuss Jon Snow's death with all of my friends online, the moment it happens. There used to be a certain etiquette when it came to spoilers that has been completely thrown out the window in recent years. 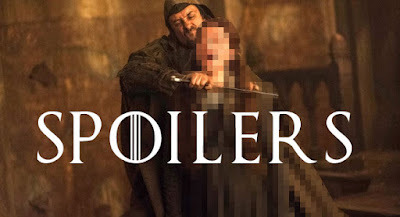 With the popularity of shows like Game of Thrones and The Walking Dead, both featuring a shocking twist almost every episode, it's easy to see why this would be the case: more people are watching it and therefore more people are wanting to talk about it. Unfortunately, we live in such an "instant gratification" society that people are looking to discuss the shows the moment that they are off the air. There is no longer any kind of grace period. It is simply expected that we stay off the internet. There's one problem with that: People have lives. Not everyone is able to throw down what they're doing in order to watch their favorite TV shows ever week. Life gets in the way and makes the impossible for some people. So why is it that we're punishing those hardworking individuals? Just look at Television ratings if you think I'm just being crazy. The days of sitting around the TV at an assigned time are over (if it's not a live event, of course) because on-demand is an option no matter where we look. Younger generations don't even understand the concept of not being to watch a television show in exact order, let alone what it means to have to sit down for a show or else they'd miss it. No, we live in an age where we can watch whatever we want, whenever we want to. 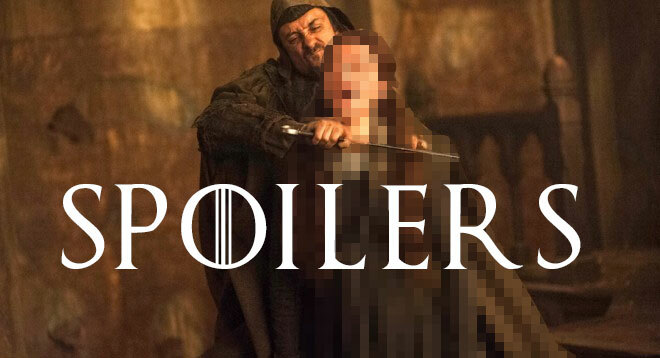 So why have our manners gone out the window in regards to spoilers? To be completely honest, I hope that standard TV goes the way of the dinosaurs and we are left with only Netflix/Hulu alternatives. Because if my Facebook timeline is any indication, these streaming shows are still subject to spoiler etiquette and I'm being continuously turned off by shows that aren't. The real question now is, how long will it last?